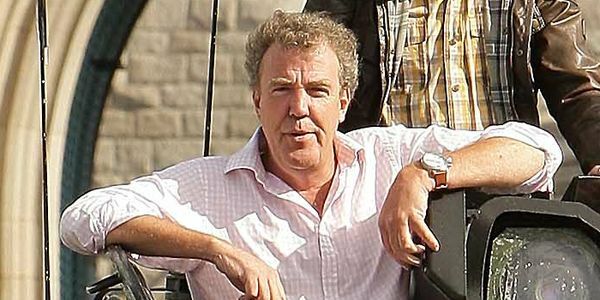 Tell the BBC not to renew violent racist Jeremy Clarkson’s contract. UPDATE #3: After being contacted by The Argus on 24th March, Facebook revised the reports of the post harassing me, and removed it in its entirety… Bittersweet. It’s about the cover-up & mishandling of Savile’s vile criminal behaviour and absolutely boot all to do with Clarkson himself. UPDATE #1: I’ve even been honoured with a post dedicated to me. It appears that “Jeremy Clarkson’s Army” is a hair-obsessed clan, and one that thinks laughter can cure cancer, among other things. Feel free to laugh along with me here. One of the great dividers of opinion, Jeremy Clarkson of Top Gear fame, was recently suspended for allegedly punching a producer. This suspension, which is in accordance with employment law, has caused somewhat of an outcry among the UK’s population, with a petition being launched demanding his reinstation. In response to the petition, which as of this moment has gathered one million signatures, I set up my own, asking for him to be dismissed. I cannot fathom how the petition calling for his reinstatement has gained more traction than petitions such as those calling for the prevention of cuts to life-saving cancer drugs, which you can read all about here. I urge you to read that post. This is not the first time Clarkson has been found to be violent – whatever your feelings towards Piers Morgan, Clarkson punched him, causing a scar. He has also been alleged (for the most part) to have made pejorative racist, homophobic, anti-workers’ rights and sexist remarks at various intervals. I do believe in freedom of speech but I do not agree that it should include hate speech. There are ways to disagree without marginalisation, bullying or incitement of hatred. To those who started the petition and those signing – you are completely entitled to do so, and hold your opinions. I am exercising that same right. The UK government is trying to prevent a multitude of human rights granted by EU law, including our right to protest. The democracy we live in is a sham…but that’s for another blog. Since discovering just how corrupt the BBC is, since the Jimmy Savile et al scandal, and the fact the coroporation has shown complete and utter political bias in recent months, I have found myself despairing (even more than usual) at the state of our corrupt media. Furthermore, it really does seem that entertainment is king, above all else. My petition has thus far gathered 50,000 signatures. This may seem paltry by comparison, but it provides a little hope to me, that all is not lost. It’s not a numbers game. Thank you to everyone who has signed and shared it; your support is gratefully received. If you would like to sign, please do so here. I will now share the tweets, email responses and private Facebook messages I have received from people who disagree with my stance. Obviously I have views on them, but they don’t require commentary – they speak for themselves. I have included all responses, not just those that are inflammatory or harassing, although there are only a handful that aren’t. Speaks volumes, doesn’t it? I have included names, real or otherwise – my identity is not secret, and I do not feel duty-bound to protect theirs. No doubt this post will open the floodgate for more abuse, but while that will not be tolerated, I welcome all opinions on this subject. Coding Like a Girl — Medium.